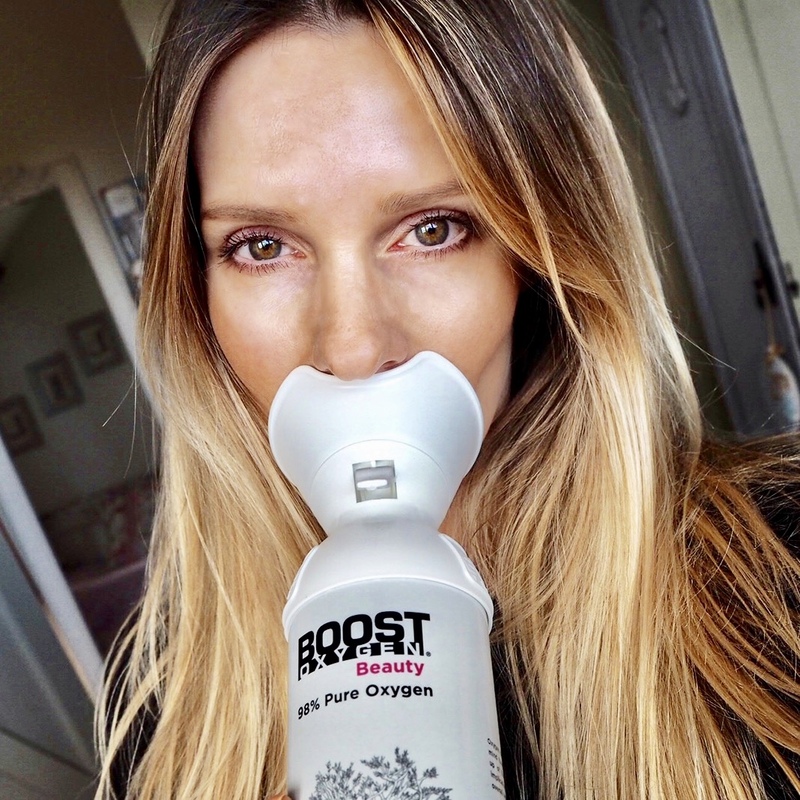 We could all do with keeping our oxygen levels up with a bit of extra help from Boost Oxygen. Enhancing the available oxygen to the skin and assisting the repair and regeneration of collagen and elastin tissue. Our skin is under attack daily from air pollution, stress, lack of sleep and poor diet choices, all of which accelerate the ageing process by depleting oxygen reserves. I'm all for anything anti-ageing so I was intrigued by this product and wantede to know more before trying it. I headed straight to the Boost Oxygen website and had a look around and I was pleasantly surprised. Loved by celebrities including Chloe Kardashian, and featured in many a glossy magazine, including January's Vogue, no less. Since there's a fair bit of hype around cans of air I thought it would be fun to give it a go. There are five to choose from in the range - I have the cellular renewal "Beauty" version. Of course.